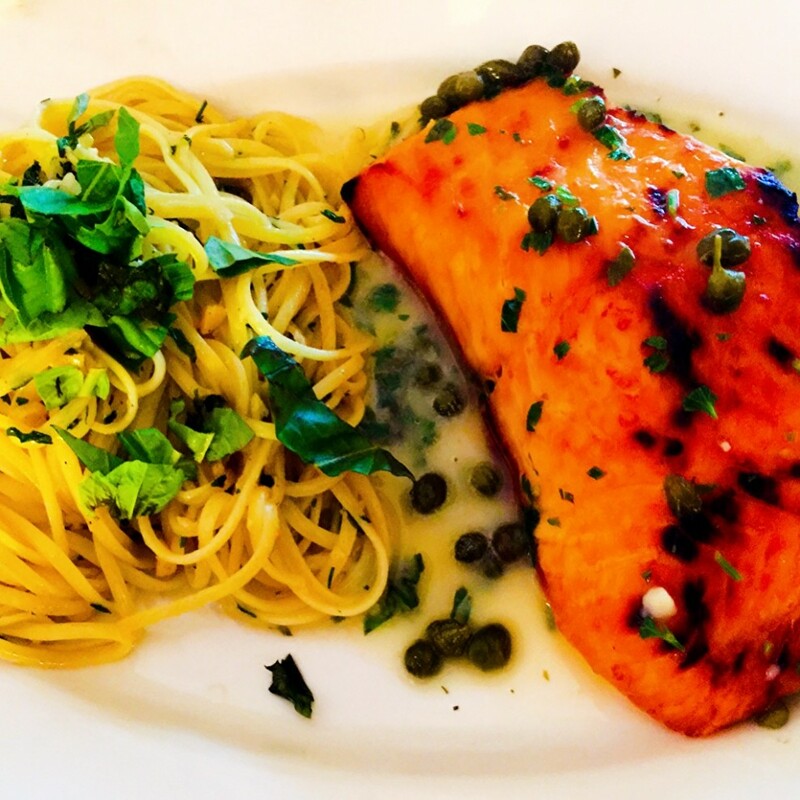 Farm fresh salmon served with a marinara bell pepper sauce. This dish is served with broccoli and asparagus. Vegetables can be substituted for a side of pasta with marinara sauce or added on for an additional cost.